Hi! 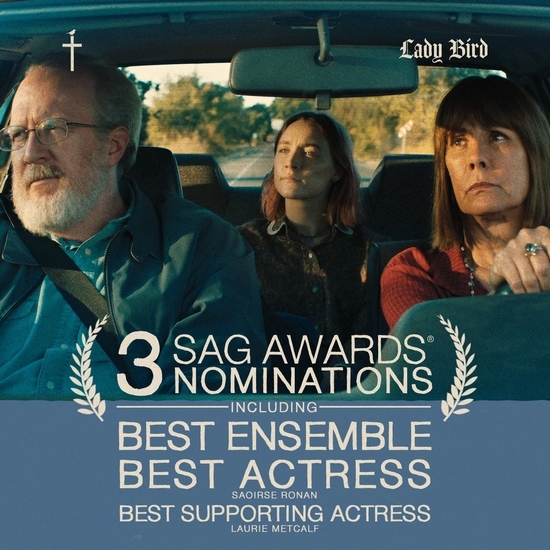 The 2018 Screen Actors Guild Awards nominations were announced on Wednesday morning and Lady Bird got 3 nominations: Best actress for Saoirse Ronan, Best supporting actress for Laurie Metcalf, and Best Ensemble! The ceremony will air on TNT and TBS on Jan. 21, hosted by Kristen Bell.